Here’s a really cool trick that I learned from our district secretary Griffin Orr while I was asleep during a race. 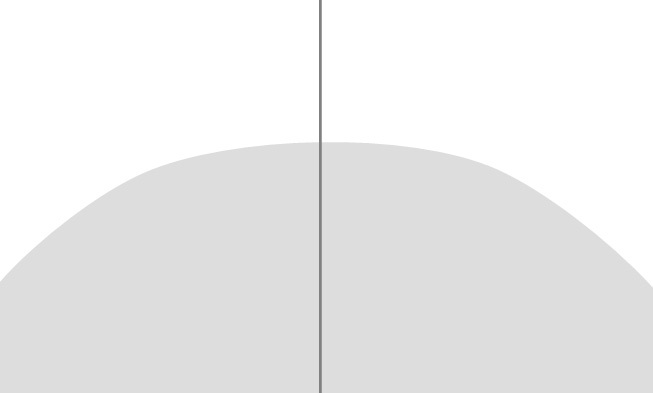 We were approaching the bottom mark and I was inside Griffin with an overlap. I thought to myself that this should be an easy. 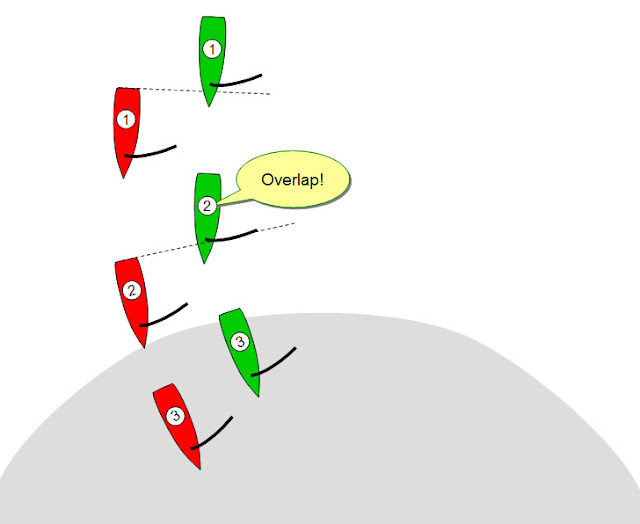 But just before we got to the three boat length circle he headed up, accelerated, broke the overlap, and said “no overlap.” He then bore off and I had to slow down to let him round in first place. It was a great move that caught me completely by surprise. Here's the definition of clear ahead that determined whether red was required to give green room at the mark: "One boat is clear astern of another when her hull and equipment in normal position are behind a line abeam from the aftermost point of the other boat’s hull and equipment in normal position. The other boat is clear ahead." A line abeam is shown as the doted grey line in the diagram. So, how could I have defended? I should have kept track of the rhumb line - the imaginary line between the windward and leeward marks. The trick is for green to anticipate and get red to sail to the right of the rhumb line (looking downwind). This is made easier because green, being the leeward boat on starboard, is in control and can blanket red if it heads directly to the mark. So when red bears off to head for the mark, it has to give room to green. Green has successfully got red to sail into the red zone. Advantage green. 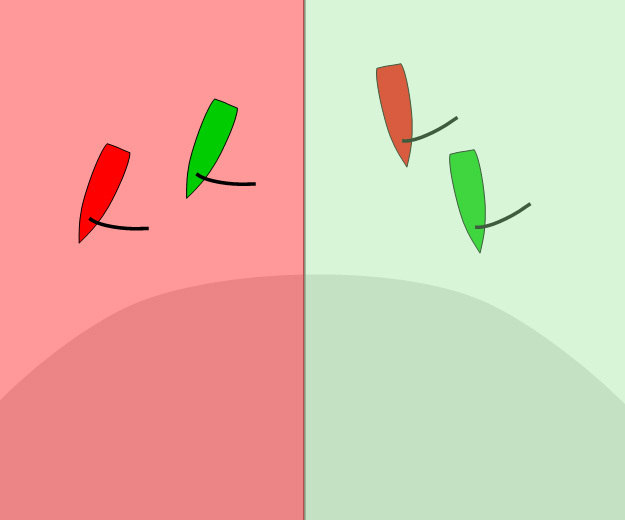 How does red defend against green doing this? Red needs to get to windward to get green's wind. Green will most likely sail into the green zone. Advantage red. This can be quite a battle! Many years ago, I was racing against Paul Foerster (Olympic USA gold medalist) where he was green. I was taking his wind and he was sailing so far into the green zone that we would have sailed past the mark if I had not broken it off. He never lost control, headed up still with an overlap, got room, and went on to win. 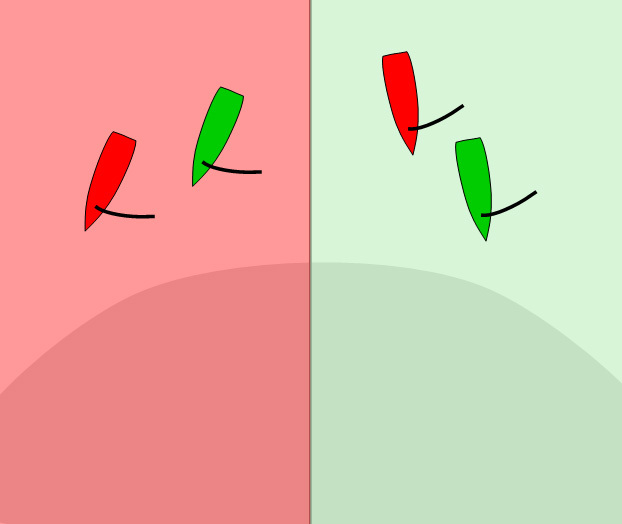 Green should use its leward advantage to force red into the red zone. Red should get to windward and try to force green into the green zone. The boat that anticipates best will have the advantage. Be prepared to for an aggressive response. 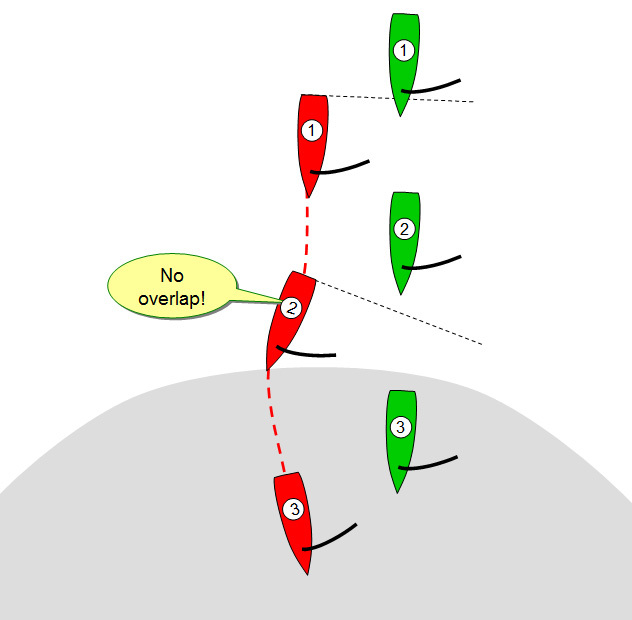 To be successful, Red must break the overlap before she enters the zone and there is often a factual dispute whether this was the case or not - it is hard to determine exactly where the zone is and the position of the boats when the first enters the zone, with each boat saying different things and even neutral witnesses not entirely sure. Because of that, Rule 18.2(e) provides that "if there is reasonable doubt that a boat obtained or broke an overlap in time, it shall be presumed that she did not." Good point. In my case, he was emphatic so I remembered my #1 rule: at all costs, avoid the protest room!